Watching videos is one of the best ways to spend your free time. You may find that sometimes you don’t have videos to watch on your computer and you may want to download some. You can download videos from various video sharing websites quickly when you have a video download program. 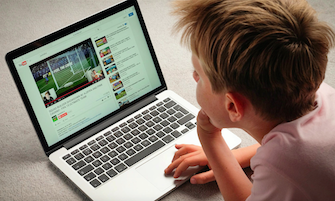 Different video downloaders have different features, and there is need to consider the advantages and performance of a video downloader before using it. Read this article to get hold of the best video download software for PC and Mac. Snaptube Online Downloader is a free app that let you download videos and music from YouTube and other popular websites without the need to install any software. It supports the recording of videos online, and it also offers a free way to convert audios without installing a third party app. Snaptube Online Downloader can download videos and audios at an incredible speed, and you can directly save videos and audios to your computer. It is one of the fastest downloaders with a simple and straightforward interface. aTube catcher is one of the popular desktop video downloaders. It works in all versions of Microsoft Windows, and you can download it for free from the Internet. It also supports screen recording of videos. You can download videos from social websites such as Metacafe, spike, Globo, Yahoo, etc. it can also burn DVD/VCD videos without the use of third party programs. You can also record videos from your computer using aTube Catcher. It also has an easy to use and step-by-step interface. It supports download of different file formats such as AVI, MP3, MP2, WMA, GIF, PSP, OGG, MOV, FLAC, etc. Freemake is a free video downloader that you can download and install on your desktop for free video downloads. It has a smooth and friendly interface, and it also works as a video converter. It also supports from different video sharing sites including YouTube, Twitch, Vimeo, liveleak, films, etc.it supports download of different video formats, and you can save 500 clips at once. Unfortunately, Freemake works in windows computers only. Installation SnapTube is an online app, and hence no installation is required. It requires being downloaded and installed. Download and installation are needed. Space No space is required for the installation on your computer. It needs space in your computer for the installation to occur. 15MB is needed for the download. You need space for the installation. Direct download and conversion Supports direct download and conversion of files. It supports direct download and conversion Direct download and conversion are not supported. Versions updates No update is needed You have to keep updating to the latest version for the software to operate well. You have to keep updating to the newest version. 1. 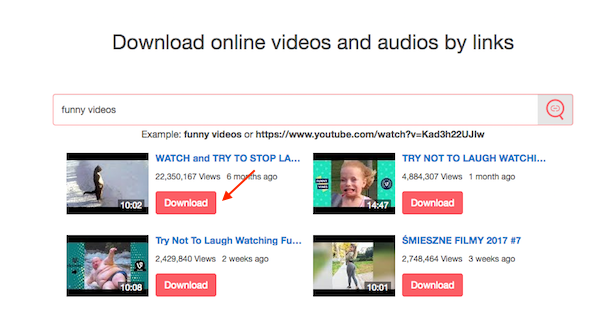 Go to the SnapTube online downloader website, Search the video you want to download on YouTube and copy its URL. 2. Paste the URL of the video in the search box and click the search icon and wait as Snaptube tries to get the video for you. 3. Once the video is found click on the download button. 4. Click on the video option and then choose the resolution of the video. Once you click on the preferred resolution, the video will download and be saved on your computer.